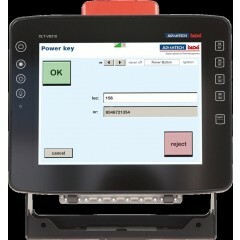 Advantech DLT-V62 Mobile Computer	The logistics terminal DLT-V6210 has been developed for vehicle applications in extremely demanding Environments such as intralogistics and ports. 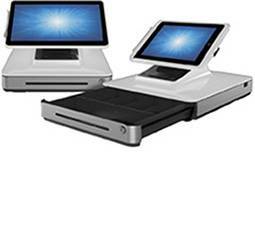 Certified for various regions, the terminal can be used worldwide. 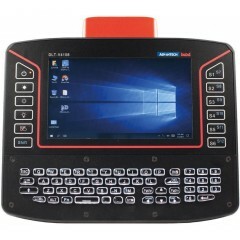 Advantech DLT-V72 Mobile Computer	The Advantech-DLoG DLT-V72 series (available in 10” and 12”) is developed for every kind of logistics application. The DLT-V72, successor product of MTC 6 series, is the logistics terminal as such with a feature set meeting the market requirements at its best. 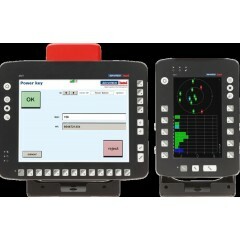 Advantech DLT-V83 Mobile Computer	The Advantech-DLoG DLT-V83 series vehicle mount terminal (available in 10", 12" and 15") contains expertise collected over decades in the logistics, automation and heavy duty core markets. With the DLT-V83 series, the robust properties which terminals require for rough applications in vehicles in warehouses, industrial settings and the mining industry have been improved on the one hand. 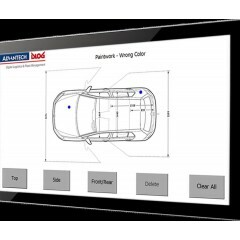 On the other, new and trendsetting technologies such as processors, operating systems and touch screens have been integrated. The DLT-V83 series is highly configurable and can be adapted to a wide variety of company requirements. Advantech UTC-51X Touchscreen	This touch screen PC has a unique groove rail around the frame where peripherals can be attached seamlessly. 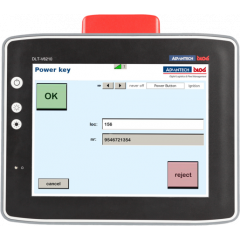 Therefore the Advantech-DLoG UTC-52 series can be used in a huge variety of appliances, ranging from a self-checkout-terminal to a production-line-controller in a factory. 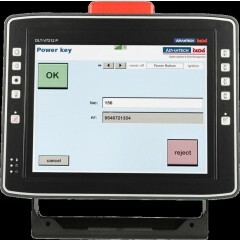 DLT-V4108 Advantech Mobile Computer	The DLT-V4108 with integrated keypad is a robust vehicle terminal for efficient work and the best signal transmission in logistics. 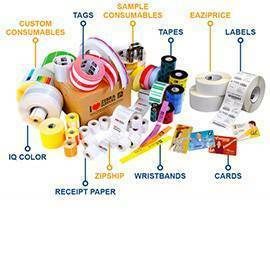 It ensures a smooth process in the areas of logistics, ports and heavy duty. 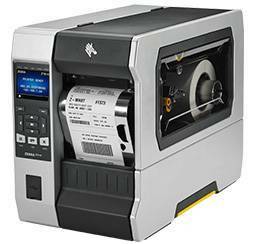 The integrated keyboard of the DLT-V4108 simplifies data input and therefore no external keyboard is needed. 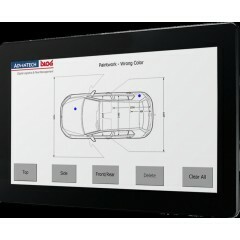 Advantech DLT-M8110 Mobile Computer	The Advantech-DLoG DLT-M8110 is a detachable vehicle mount terminals which combines the reliability of a VMT with the flexibility of a tablet. 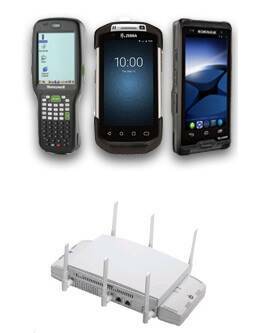 It is rugged to warehouse operations, comes with the WiFi performance for uninterrupted logistics processes, and features long standing battery for off-vehicle operations. 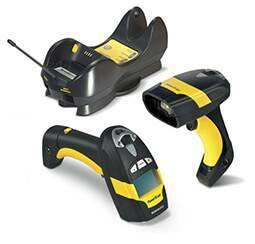 With integrated camera and scanner for order processing additional handhelds are made redundant. Advantech XMT-5 Mobile Computer	Fully rugged, compact and packed full of functional technologies, the Advantech-DLoG XMT 5 (available in 7” and 10”) is the ideal vehicle mount terminal for vehicles with limited space. 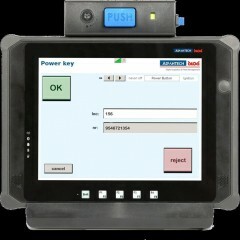 In an industrial truck as a lift truck terminal, in a construction vehicle as a control unit or in a heavy-goods truck as a logistics PC: Wherever it's used, the DLoG XMT 5 is the perfect companion as it communicates using only modern interfaces and the 7" version is so compact that it can be installed in vehicles with the most limited space. 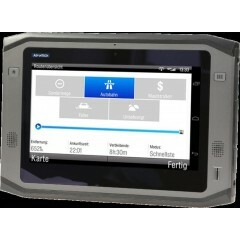 Advantech AIM Tablets	The Advantech-DLoG AIM-37 is an industrial mobile point of sale (mPOS) system with integrated barcode scanner and Corning® Gorilla® Glass HD display. 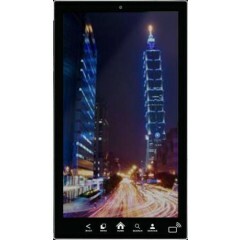 The system design is surprisingly thin (17 mm) and lightweight (800 g) to ensure maximum portability. AIM-37 features an IP54 rated front panel for protection against water and dust. 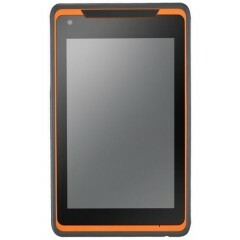 Advantech PWS-870 Tablet	The Advantech-DLoG PWS-870 is a tablet PC with a 10.1" HD wide screen and processors from the Intel Core i family. 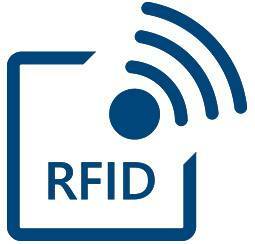 It is well-suited as a functional communication terminal for all indoor and outdoor applications. 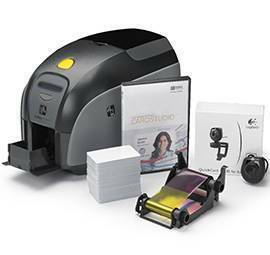 The standard equipment of the sturdy PWS-870 includes 2M/5M dual cameras, WIFI and Bluetooth, optional 1D/2D bar code reader and RFID reader. 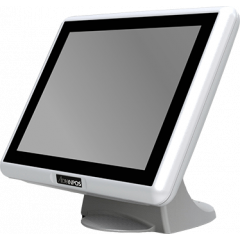 Advantech UPOS Touch Computer	UPOS-531 series is a 15" all-in-one fanless POS system with Sytlish design and featuring the latest CPU which delivers high performance and high graphic quality to support application for digital signage. 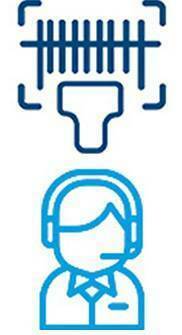 Logiscenter is een referentiepartner van Advantech Nederland. Dit partnerschap met Advantech stelt ons in staat u de beste prijzen, voorraden, leveringen en technische ondersteuning aan te bieden. Advantech is marktleider op het gebied van innovatieve oplossingen en producten zoals industriële tabletten, industriële terminals en digitale bewegwijzering. Advantech biedt systeemintegratie, hardware, software, ontwerpdiensten en klantgerichte wereldwijde logistieke ondersteuning aan.